Now we finally come to the real agenda of the vaccine industry. 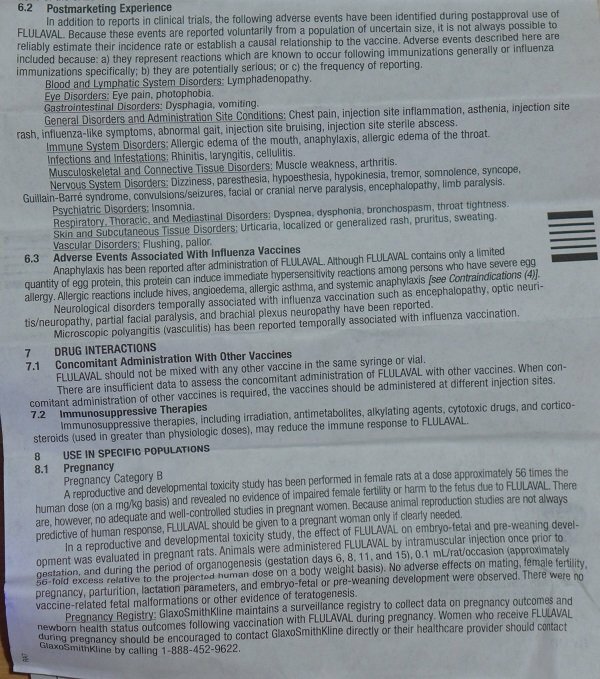 After vaccines have been repeatedly documented by the Natural News Lab to contain neurotoxic chemicals such as mercury, formaldehyde and MSG; after vaccine shots have been repeatedly shown to kill people who take them; and after flu shots have been exhaustively shown to be based on no science whatsoever — with vaccine manufacturers openly admitting there are no clinical trials to show they even work — the rabid vaccine pushers are unveiling their end game: throw vaccine resistors in prison. This is the call by USA Today columnist Alex Berezow. “Parents who do not vaccinate their children should go to jail,” he writes in this USA Today column. And just to be clear, what Berezow means is that parents who do not vaccinated their children no matter how toxic the vaccine ingredients really are should be thrown in prison. 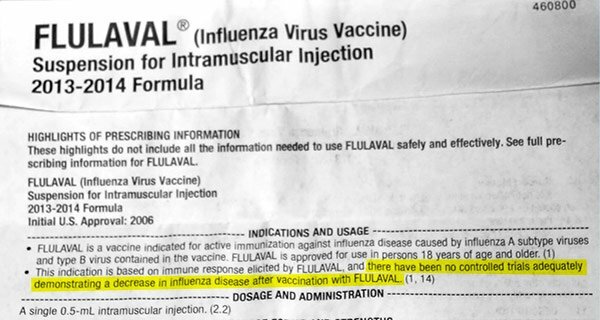 There is no exemption being discussed or recommended that would allow parents to object to vaccines because of the neurotoxic chemicals they contain (such as the heavy metal mercury, still found in flu shots given to children in America). There is also no discussion that informed parents might reasonably object to vaccines based on the recent confession of a top CDC whistleblower who reveals how the CDC committed scientific fraud to bury scientific evidence showing a link between vaccines and autism. But continuing with the imprisonment idea now being touted by USA Today, it begs the practical question: What exactly should happen after the parents are thrown in prison? Well, of course, the state will take custody of the children because they are now parentless. So the suggestion that parents who seek to protect their children from toxic vaccine ingredients should be thrown in jail is simultaneously a call for the state to seize custody of all children who are not yet vaccinated with Big Pharma’s toxic vaccines. 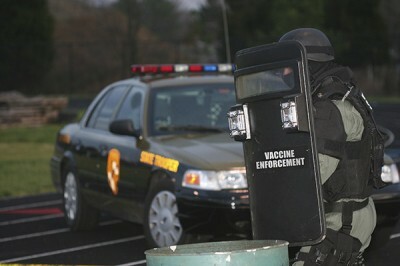 Vaccine skepticism to be criminalized in America? Let’s all be perfectly clear about the crux of this argument published by USA Today. Because police resources in U.S. cities are finite at any given time, Berezow is essentially arguing that law enforcement officers — who are already spread dangerously thin almost everywhere — should be diverted from stopping real criminals such as rapists, murderers and child molesters, and instead should fan out across U.S. cities, going door to door to handcuff and arrest vaccine skeptics while demanding Child Protective Services seize their children. This argument, dutifully printed by the blindly obedient mainstream media, represents the total abandonment of scientific reasoning and the desperate invocation of the very same policies espoused by Mao, Pol Pot, Mussolini and Adolf Hitler: If the People can’t be persuaded to do what you want through reason, then force them to do so at gunpoint. This is, by definition, the very essence of a medical police state. To find that such a policy is boldly called for in the pages of USA Today demonstrates just how treacherously far we have now ventured into the all-too-familiar territory of the world’s past dictatorial regimes which routinely violated human rights in the name of compliance. And yet this column in USA Today is actually a tremendous victory for vaccine skeptics. There is no greater admission of the failure of vaccine “science” than this call for vaccines to be enforced at gunpoint. It is the wholesale abandonment of any philosophy that might respect human freedom, dignity or choice. Instead, this pronouncement equates intelligent, informed vaccine skeptics with murderers and rapists, implying they should share the same fate, if not the same prison cell. It is an admission, ultimately, that the vaccine pushers have run out of reasonable ideas and must now resort to force as their last remaining weapon against common sense. Berezow, like most vaccine promoters, is a medical tyrant. He openly calls for government to use the threat of violence to destroy families, ripping them apart at gunpoint and seizing their children, in order to achieve a level of vaccine compliance that Berezow claims is based on irrefutable evidence of safety and efficacy. When American media outlets begin to print opinion pieces that resemble the logic of Kim Jong-Un, you know something has gone terribly awry. No one can threaten your safety… except US! Speaking of civilian casualties, in the name of “science,” Berezow obviously wants to see an armed medical Gestapo going house to house, taking children away from parents and turning them over to the state while those parents are incarcerated in a prison system that’s already bursting at the seams. The same government that Berezow hopes would use armed police to enforce vaccine compliance has, of course, already granted absolute legal immunity to vaccine manufacturers. So children who are harmed by vaccines have no legitimate legal recourse. The obvious catch-22 is damning to the industry: Here, take these vaccines at gunpoint, but if your child is harmed or even killed by these vaccines we’ve forced upon you, that’s your problem, not ours. Even the Associated Press recently conducted an investigation into the kangaroo vaccine court system in the United States and concluded it was a comedy of justice that denied payouts to parents for ten years or more. This imprisonment argument by Berezow also begs the question: Does Mr. Berezow support government coercion and the threat of violence against the citizens of America solely in the arena of vaccines? Or does he also think government should arrest and imprison people who don’t comply with the government’s wishes in all other areas, too? By Berezow’s own logic, people who refuse to purchase Obamacare health insurance should also be arrested and imprisoned. Probably even people who write about vaccine dangers should be arrested and imprisoned too, by simply legislating that pesky First Amendment out of existence. And why stop there? Why not arrest and imprison people who refuse to testify against themselves, refuse to quarter government soldiers in their private homes, refuse to submit to illegal searches and seizures or refuse to remain silent in their own defense? Perhaps one day the government will demand that everybody eat Soylent Green. Those who refuse will not merely be arrested, but scooped up and “processed” into more Soylent Green to force-feed to the obedient, ignorant masses. The fact that USA Today would even run a column like this shows the late hour of the medical police state which the American people have apathetically allowed to emerge under their watch. In an era where the U.S. government now openly spies on all our phone calls, emails and phone texts — and where the Obama administration has prosecuted more truth-telling whistleblowers than any other administration in U.S. history — the systems of oppression, propaganda and control have reached a tipping point of public revolt. The mass militarization of local police forces across the country is a screaming red alert that civil liberties are being crushed while the government itself seems to be arming for war against the American people. Local police departments now possess mine-resistant armored cars, automatic military weapons, surveillance drones and even futuristic thermal vision devices that can see through walls. 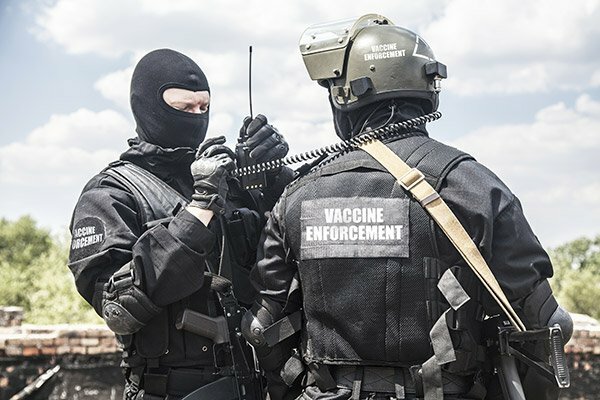 If vaccine skepticism is criminalized, all these weapons of war — many transferred to police departments after returning from the front lines of battle in the Middle East — will be turned against citizens who refuse to inject their children with the toxic chemical poisons still found in vaccines. The next simple step is to declare vaccine skeptics to be “domestic terrorists.” From that point, all varieties of government coercion, violence, torture and murder of these people is “ethically justified” according to the vaccine pushers. Public trust in the government is at an all-time low. Public trust in the lying mainstream media continues to plummet by the day. Public trust in toxic vaccines continues to fall as well, and this trend will never be reversed until the vaccine industry decides to remove toxic heavy metals and chemicals from its vaccines (if ever). Rather than cleaning up its own products, the vaccine industry turns to people who call for government violence against citizens in order to achieve involuntary compliance. But in his USA Today column, Berezow ups the ante. He does not merely call for vaccine skeptics to be fined. That financial coercion tactic is apparently too mild for a man who is so sure he’s 100% correct that he’s willing to bet YOUR family on it. No, Berezow calls for vaccine skeptics to be arrested and imprisoned. If you do not get your children vaccinated, he unabashedly argues, you are an enemy of the state. He’s sure of it. In fact, he knows far better than you what should be injected into your children. You are too stupid to know the right answer, he implies, so leave it to the pharma companies that conduct deadly drug experiments on children to tell you what to do with your own children. Inform yourself of the facts about Big Pharma’s ongoing chemical child abuse by reading about The top ten medical conspiracies that actually happened. I want to thank Berezow for finally removing all doubt about the true agenda of the vaccine pushers. I’m sure it won’t be long before non-vaccinated children and adults will be required by law to wear Scarlet-letter shame symbols much like the Jews in 1939, and at some point people like Berezow will no doubt call for parents who don’t vaccinate their children to be rounded up and sent to “re-education camps” where they will be subjected to PowerPoint presentations dreamed up by GlaxoSmithKline, the same company found guilty of felony bribery crimes by the U.S. Dept. of Justice. Berezow has done us a service in all this, however. He has made the argument for a national “medical freedom” amendment to the United States Constitution. It is because of tyrant-minded people like Berezow that America’s founders created a First Amendment, Second Amendment, Third Amendment, Fourth Amendment, Fifth Amendment and so on. All of these Constitutional amendments grew out of systematic government abuses of civil liberties and human freedoms. Dr. Rush, in other words, foresaw precisely the kind of medical tyranny now published by USA Today. “Medicine will organize into an undercover dictatorship” is exactly what we’ve seen happen. That dictatorship, argues Berezow, should be enforced at gunpoint by the government itself. This is the definition of fascism: a corporate-government partnership to force obedience onto the population through coercion dished out under the threat of violence and incarceration. USA Today should be ashamed that it has published a medical dictatorship propaganda piece that would have made Nazi propaganda minister Joseph Goebbels proud. The call to imprison vaccine resistors is an open admission that the SCIENCE behind vaccines isn’t compelling and must therefore be replaced with GUNS. How else will you arrest people, take their children away and imprison them unless you bring men with guns and badges to the “guilty” households, anyway? Where junk science fails, government guns are clearly the answer. And if guns alone don’t work, they always have tanks, too. In essence, the argument being made in the USA Today column is that guns should be used to force vaccine compliance. It’s not even a leap, as guns in the hands of government goons are already being used to force children into toxic chemotherapy treatments against their will. Click here to read the list of government-sponsored medical kidnappings taking place in America right now. This list will, of course, never be published by USA Today for the simple reason that these real medical facts are not consistent with the mainstream media’s vaccine propaganda agenda. Why stop at vaccines? Why not threaten to arrest anyone who disagrees with a doctor on anything? If total medical compliance — at any cost to human freedom and dignity — is the goal, then why not launch a whole new domestic army called D.M.S. ; the Department of Medical Security. Declare that all who oppose Big Pharma’s medical advice are “threats to national security” and ship them all to Gitmo where the U.S. government continues to run torture operations. Once you start down the road of medical tyranny, it doesn’t end well for humanity. Just ask the victims of the Nazi chemical conglomerate IG Farben, which was later split into chemical corporations, one of which is now known as Bayer. Under the guidance of the “science” of Nazi Germany, heinous chemical crimes were committed against countless Jews, including gassing them to death and using Jewish prisoners for medical experiments. The former chairperson of Bayer, for the record, was convicted of Nazi war crimes at the Nuremburg tribunals and sentenced to prison. Today, pharma executives routinely commit felony crimes yet go free, even while USA Today calls for parents to be imprisoned for saying no to Big Pharma’s deadly chemicals. No doubt the vaccine promoters of today who demand the arrest and imprisonment of American vaccine resisters would also approve of using those prisoners for their medical experiments. See the full history of U.S. medical experiments here, here and here. Most of these inhumane medical experiments were carried out against prisoners, minorities or soldiers. This is how crimes against humanity are born. You are watching it unfold right before your very eyes, right in America today, in the pages of USA Today. This is history in the making, and it is a history that will march us all right down the road of state-sponsored medical terrorism that’s openly supported by the mainstream media. Some people learn from the mistakes of history. But Berezow is determined to repeat them.